Ethan Haman, from Fremont, CA, is a USC Presidential Scholar double majoring in B.Mus. Pipe Organ Performance with Prof. Cherry Rhodes and B.Mus. Composition with Prof. Donald Crockett. In addition to Knox Presbyterian Church, he also works as organist of the Fraternity of St. Peter Los Angeles’ Latin Mass on most Sunday evenings, where he improvises almost all of the organ music. He studied organ and composition from 2008 to 2015 with Angela Kraft Cross, and served as organist of Christ Episcopal Church Los Altos from 2011 to 2015. 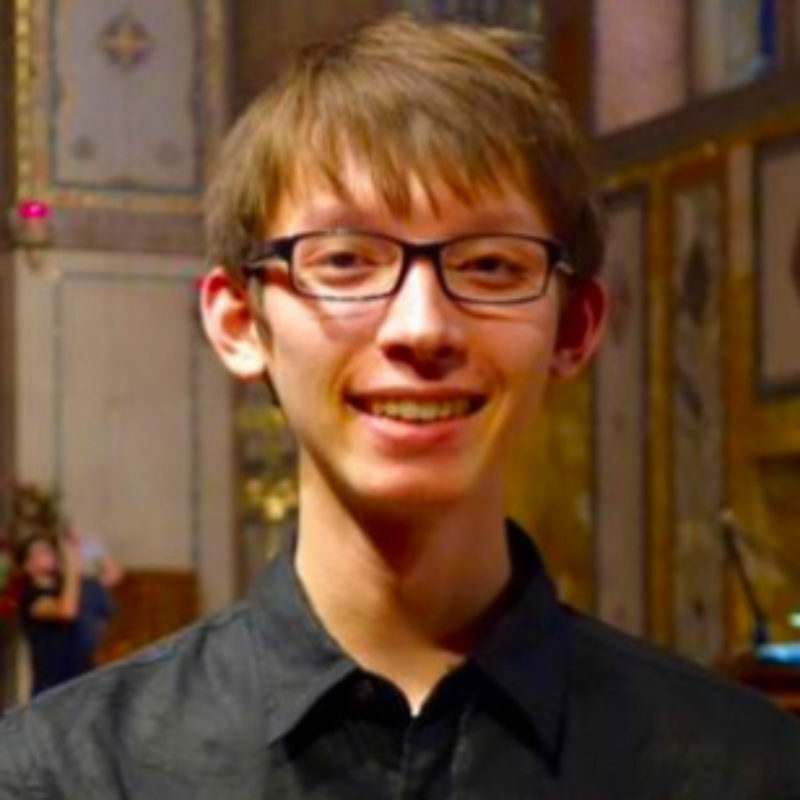 He earned his Colleague of the American Guild of Organists (CAGO) credential in April 2013, and went on three study trips to Lyon and Paris, France in 2013, 2015, and 2018 on scholarships from the S.F. Peninsula Organ Academy to study organ interpretation and improvisation in several historic churches there. Ethan has played numerous full organ recitals in the S.F. Bay Area, Salinas, Los Angeles, Reno, and Harvard University as well as shared concerts in several notable venues such as San Francisco’s Davies Symphony Hall, Stanford University’s Memorial Church, Notre Dame d’Auteuil in Paris, Christ Church Cathedral in Montréal, and Los Angeles’ Union Station. The USC University Chorus recently premiered a couple of his pieces, and his organ compositions can be heard in many churches played by organists across the U.S. His hobbies include recording organ videos for his YouTube channel as well as studying foreign languages; he currently speaks English, Spanish, French, European Portuguese, Cantonese, and is learning Mandarin Chinese.